We’ve just finished up an amazingly successful Grand Opening celebration. We hope many of you had a chance to come see the new store. Throughout the weekend, we had visits from more than 20 of our Amish craftsmen and it was great to see them chatting with customers and getting the opportunity to discuss their products and their culture. It was during one of those moments, when we heard our table maker, Robert, describing the origins of one of the more unique pieces that we have on hand at Amish Originals right now. Head towards the back of the store and you can’t miss it—an asymmetrical table crafted from one, fine Canadian walnut. No particle board, no glue—nothing but the trunk of one single tree. Cured for more than nine months before work could begin to sand, stain and add legs, this table is a labor of love and beauty. 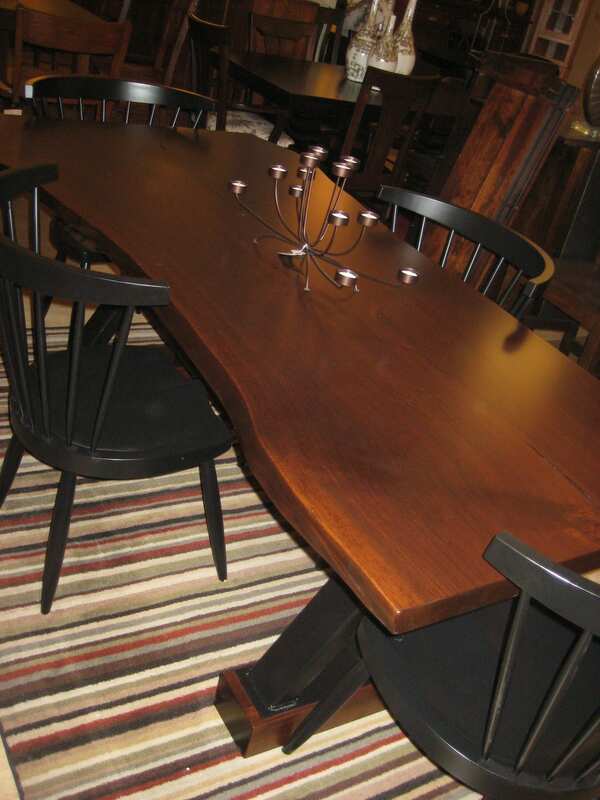 Unlike most of the items at Amish Originals, this table can’t be replicated in other sizes or wood tones. At once a table that will match traditional or contemporary décor, it is a true one-of-a-kind piece of furniture that will quickly become a showpiece in someone’s home. If you didn’t have a chance to come visit us this weekend, drop by the next time you’re in Uptown Westerville and see the new store and this amazing handcrafted piece….if we still have it!